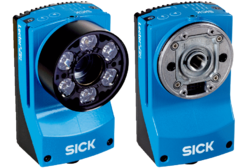 We are one of the leading authorized distributor, supplier, trader & Stockist of SICK Vision. Our product range includes all types of SICK, Rotomotive & SMC Products. Our company is instrumental in offering premium quality Vision Sensors to our esteemed customers. Owing to their flexible optical design coupled with optimum accuracy, these sensors are highly demanded in various industrial applications. In addition to this, these sensors are known for their intuitive user interface. Looking for SICK Vision ?